The Riders love to support young, local talent. The show showcased Joey File and Margaret Sommerhoff who are a senior in High school and freshman in college. They started the night off with a bang! Keep an eye out for more young local talent hanging out with us! Jay Hollinger of The Warehouse Project sat in with The Glendale Riders at a recent event. "Can't tell you how honored I am to ink up your MARTIN!!! Dude. If I have one signature on mine ever, it's all yours buddy. Thanks again for the hospitality. Was so pumped when I got there & saw y'all were playing. You rock man." 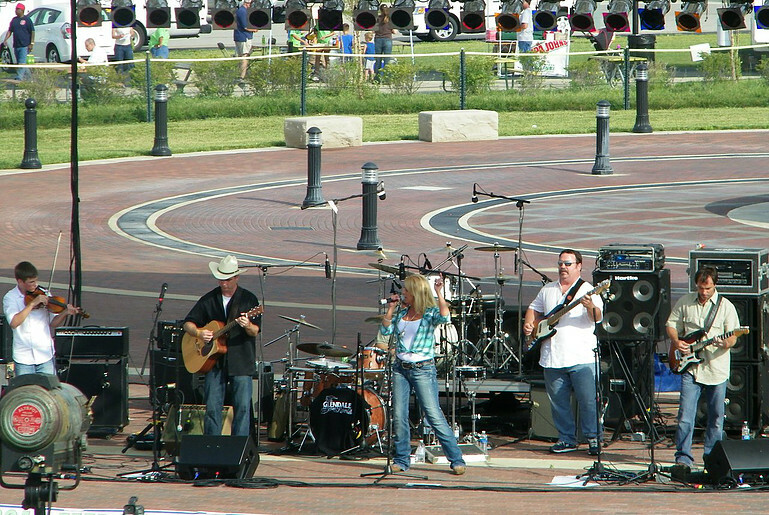 The Glendale Riders were honored to perform the opening act at the Dwight Yoakam concert in July 2015. This specialized event showcases The Glendale Riders' love of classics country music. The Strait Country concert showcases all of the greatest hits of the legendary George Strait! The Glendale Riders perform at the Alton Marina to celebrate their anniversary August 2015. Jared began playing music at a very early age. He has mastered the fiddle, guitar and drums. He has been playing fiddle and guitar for The Glendale Riders since the age of 13.